Walking Onions in your garden! I don't know if this plant would survive out here in the Mojave Desert, but it's a neat plant! Paliurus spina-christi or Jerusalem Thorn is a plant I'd like to try in my yard. It's native to the Mediterranean region and is supposed to be able to handle desert heat, is drought tolerant, and it can handle alkaline soil. Providing it can handle moderately cold winters it might be ideal for this area! I purchased two plants last spring and they made it through the summer just fine. They are now producing flowers better than when I first got them. They don't use a lot of water and they prefer neutral soil, but so far are doing alright in the alkaline soil in my backyard. They are supposed to be able to handle the cold and so hopefully they'll continue to do well for years to come! blackturtle.us: Interesting plant and quite exotic to have been available at a local nursery. 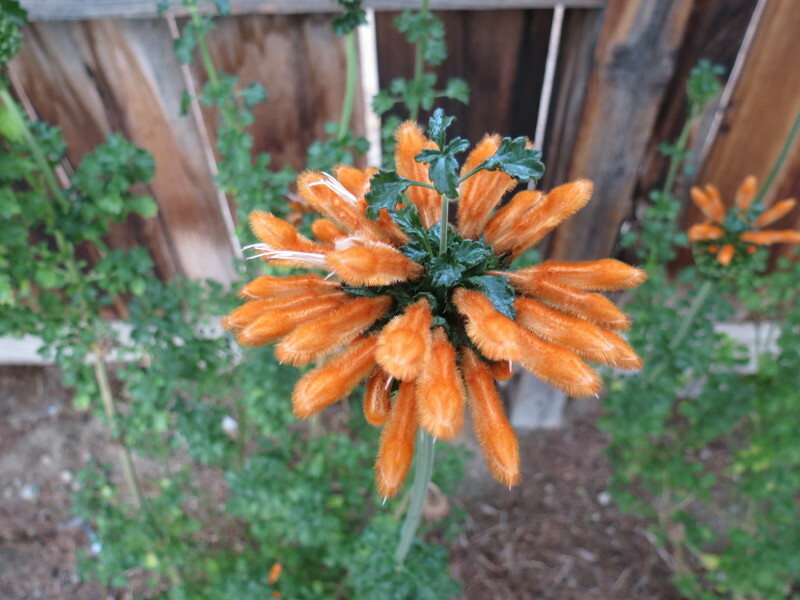 What I found after a quick web search is that the genus Leonotis is native to African and India and that the flowers produce a lot of nectar which will attract hummingbirds. The plant can grow to over four feet in height and width and it supposedly reseeds freely. Also the handling the plant can cause skin irritation. Pictures of "Naked Man" flower real? I've seen these before and so I already knew about them, but they definitely qualify as INTERESTING garden plants!